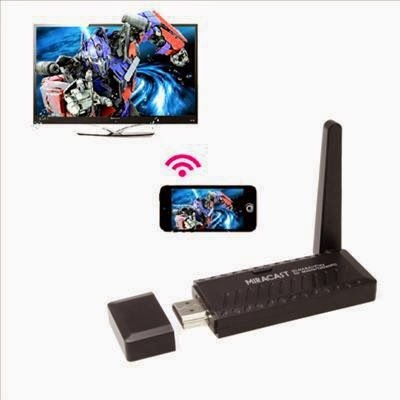 Couple of weeks ago I have bought a miracast dongle from Aliexpress seller. For 16 USD it was a good device. You may use it as mirror your tablet's or smartphone's screen to panel tv. It also support DLNA and Airtv (ios). When I first tried the device, I realize something wrong with software. It was freezing and videos may slowing sometimes. I have decided to flash it's rom with a new one. Than I asked to seller on Aliexpress. He send me new firmware and RockChip flash utility. I tried to flash it. After several tries utility program gives same message "Prepare IDB Fail" and stops. Device doesn't boot and become a brick. Than I asked seller "what should I do?". He send me unbrick instructions. I have opened the dongle. 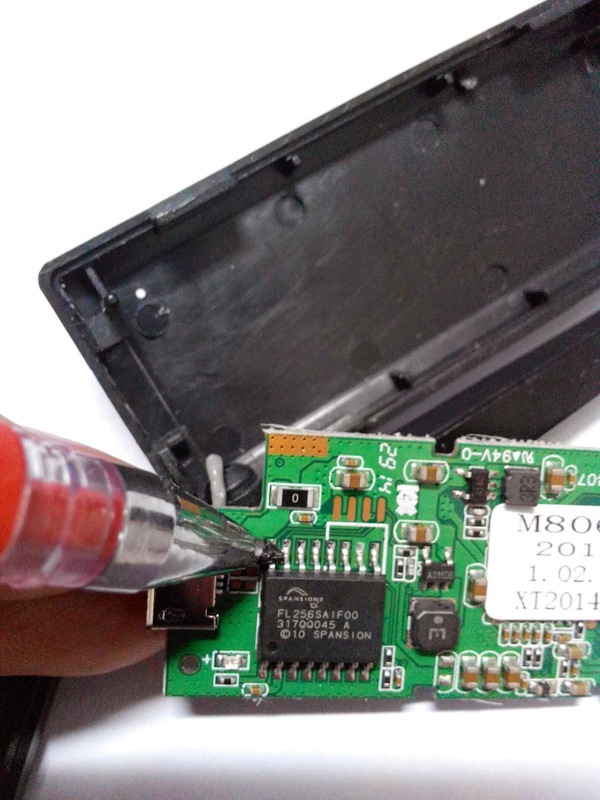 On back side of printed circuit there is an ic. I short circuit IC's last two pins (showed on image) with a ballpoint pen and at the same time connected to pc via usb cable. Than on utility program shows dark blue 1st device on screen. After that reset procedure with flash utility and firmware, I use "restore" to flash rom. It works fine and flashed device.